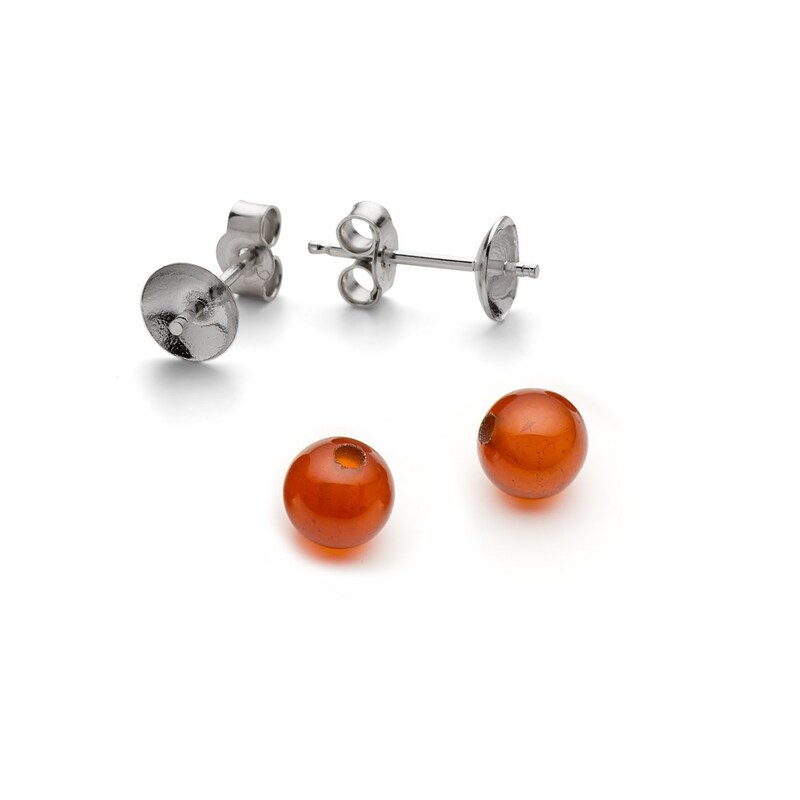 Ear stud settings for half drilled beads are a great way to make half drilled beads into classically styled earrings. The studs have a shallow cup with a little peg in the centre which fits into the hole in the half-drilled bead ensuring they sit securely and centrally on the setting. 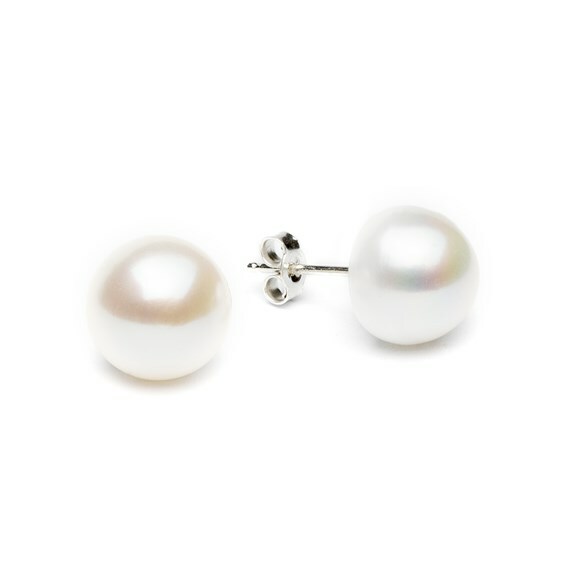 We have ear stud settings in both sterling silver settings and 9ct gold and these come in a range of sizes for different sized beads. The following step-by-step tutorial shows the best was to set half drilled gemstone beads on to these settings. You can find all these items around your house! You'll need a matchstick or similar for mixing the glue, a pin or sharpened matchstick for applying the glue, a disposable surface to mix it on, and blu-tack for supporting the ear stud whilst drying. 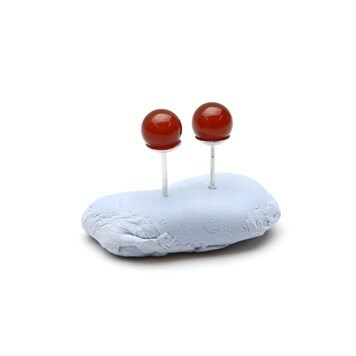 Devcon 5 Minute Epoxy Glue, Earstuds for half drilled beads and 2x Half Drilled Gemstone Beads. First check your chosen beads sit correctly on the post. You may find you need to snip a little off the end of the post with side cutters if the bead sits too high up. 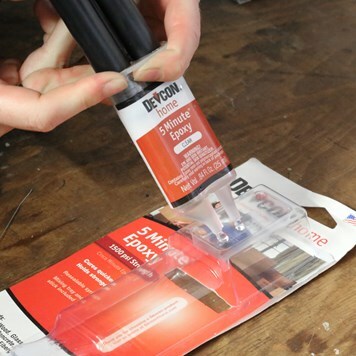 To ensure the most secure setting, you can if you like lightly scuff or sand the post a little to give the glue better grip (using sanding sheets or a file). Also check the bead holes are clean and free from any dirt or debris. Mix up a small amount of devcon 5 minute epoxy glue (don't be tempted to use superglue as it is not suitable for jewellery assembly). The duo syringe packaging makes mixing equal amounts super easy as it dispenses equal amounts of resin and hardener. Simply mix a small amount with a cocktail stick or similar. Don't worry if you've not done this before, it's really simple and comes with clear instructions on the pack! Carefully apply the glue to the post with a pin, a sharpened end of a matchstick or similar and sit the beads onto the posts. Check they are on straight before allowing to dry. A handy tip is to push the post of the earstud into some blu-tack to keep it upright whilst the glue is drying! You can wipe away any excess glue with a tissue. Alternatively, you can wait for it to dry and then scrape away the excess scrape away - be sure to do this carefully, so you don't scratch the gemstone bead!. Once dry you're earrings are complete and ready to wear! 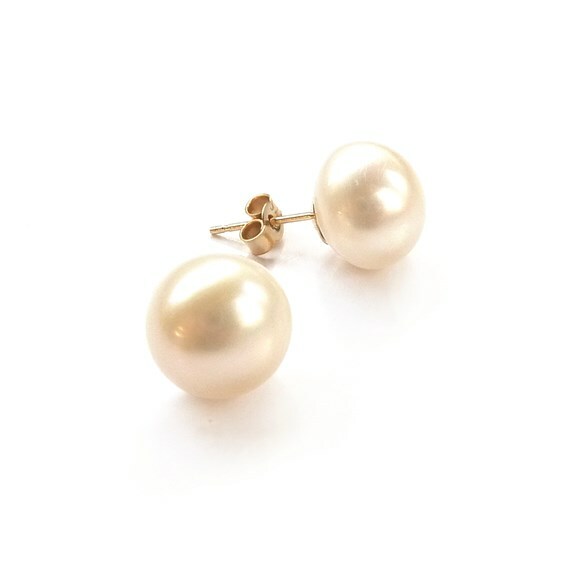 Here are two of our easy to follow 'Make The Look' jewellery making projects that create this design using beautiful Half Drilled Freshwater Pearls. One uses Sterling Silver Earstuds For Half Drilled Bead and the other uses 9ct Gold Earstuds For Half Drilled Beads.